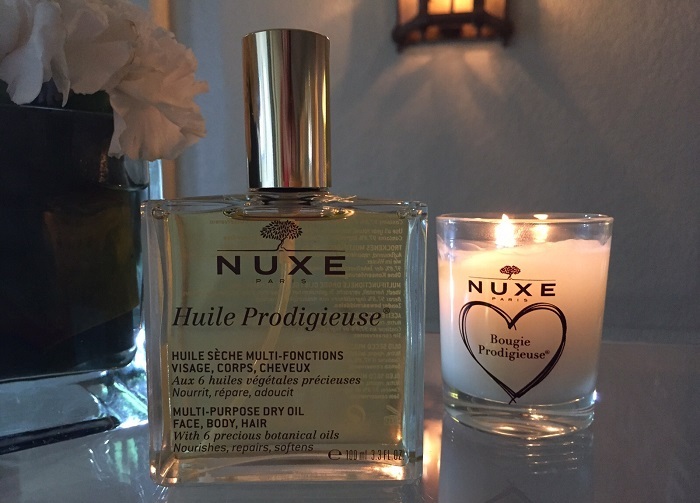 What’s your first NUXE product? Like most women, mine is their classic, nourishing & repairing dry oil for face, body, & hair aka. 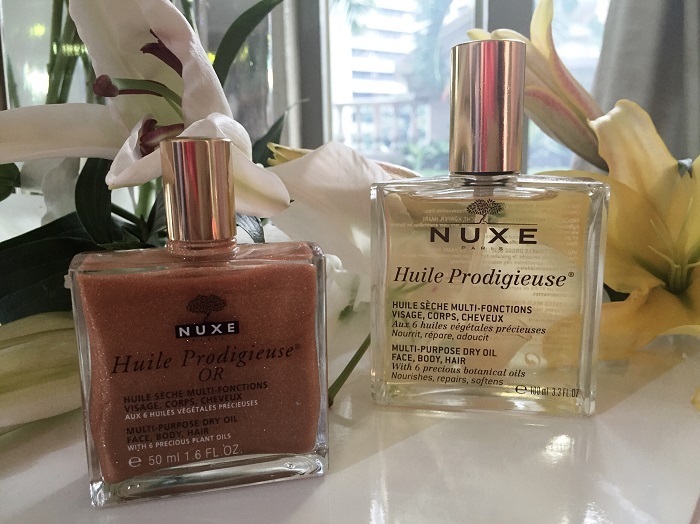 Huile Prodigieuse (classic 50ml – Php 995, 100ml – Php 1750, shimmer 50ml -Php 1450). 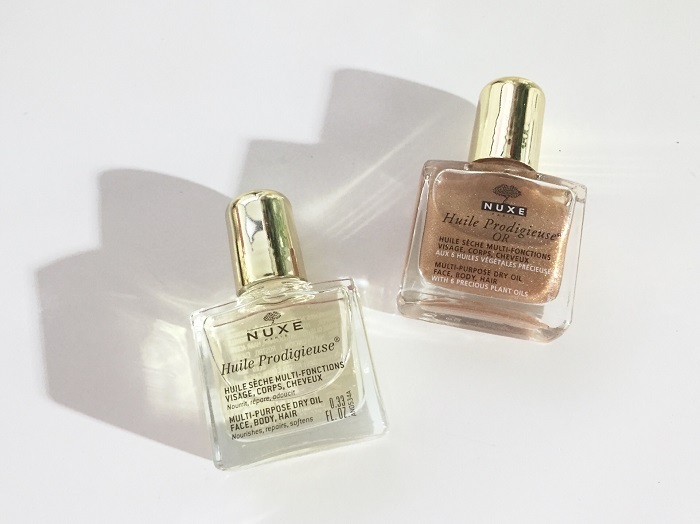 Since it was launched in 1991, because of its superior quality and efficacy, it remains to be up in the ranks being the top product in the oil category in France today. During the day in between meetings for a quick zone-out (ahhhhh that signature scent!). When traveling miles and miles away from home since the frigid airplane air’s just brutal beyond words. 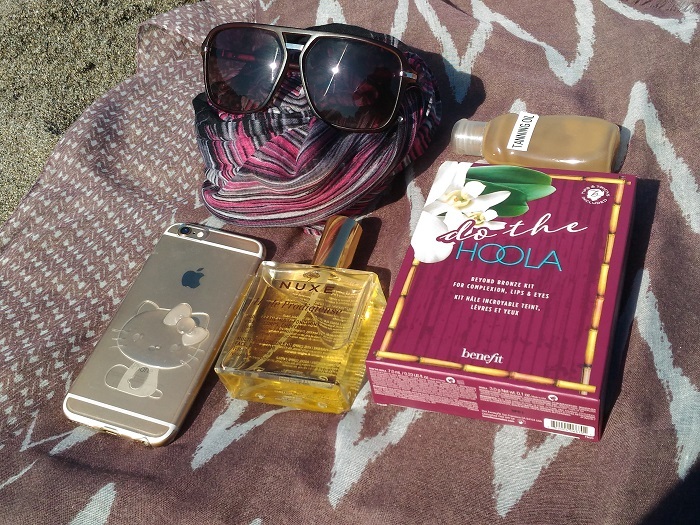 And of course — at the beach when the dry oil acts as an all in one moisturizer with a bonus glow to boot! 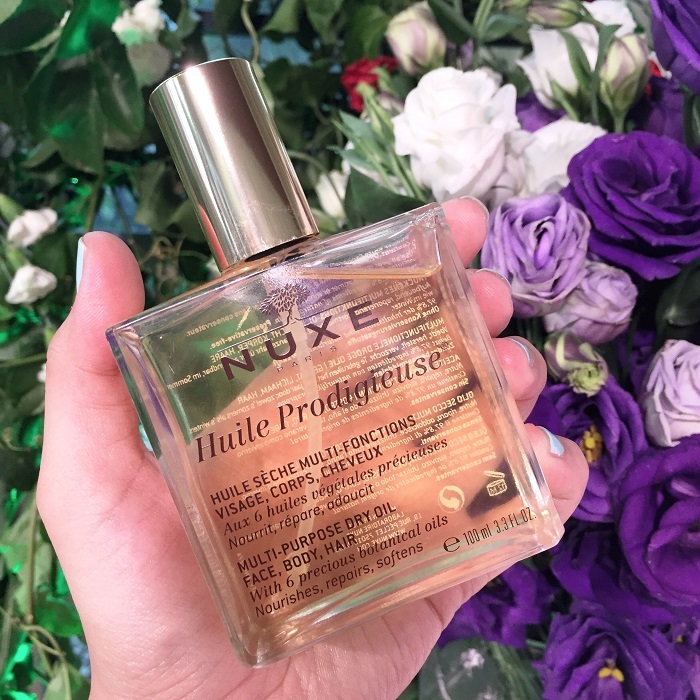 They also hailed Nikki Gil as the first Filipina NUXE brand ambassador. She’s always effortlessly dolled up and super chill, no wonder she’s perfect for this job! 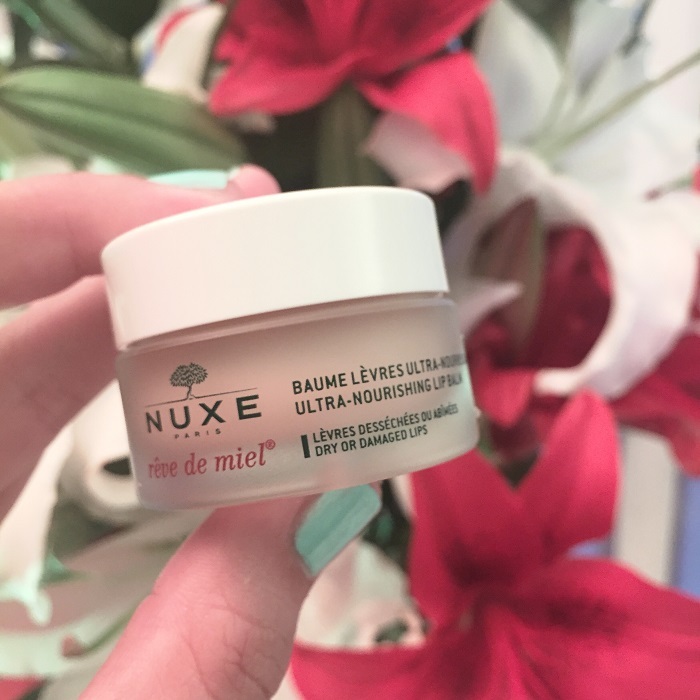 I love luxurious lip balms and I really like the NUXE Ultra-Nourishing Lip Balm (Php 650)! It has honey & sunflower to soften and soothe dry & sensitive skin. Pat lightly, it made my lips feel ultra hydrated and got a tip even: apply a thin layer of the lip balm on top of a thin layer of the dry oil before sleeping to wake up with ultra plush lips. Definitely trying that out soon! 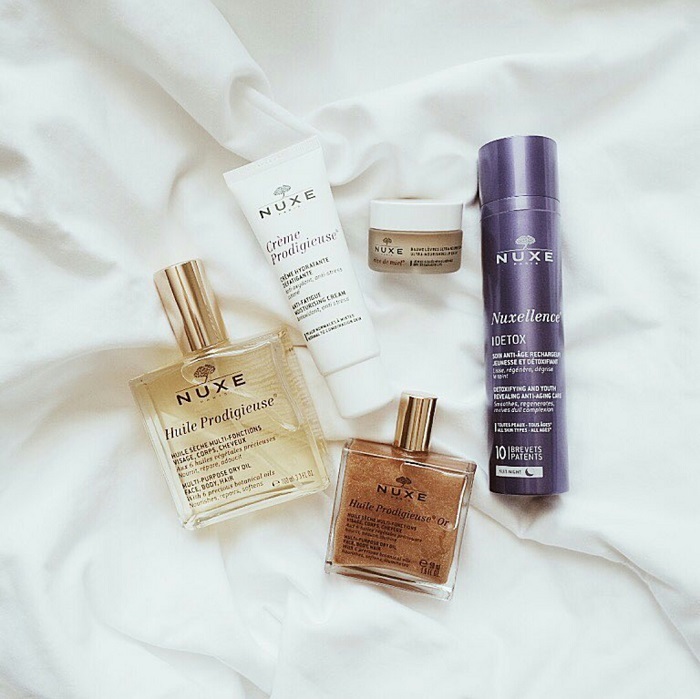 Have you tried NUXE's best sellers and more yourself? What are your favourites from this brand? 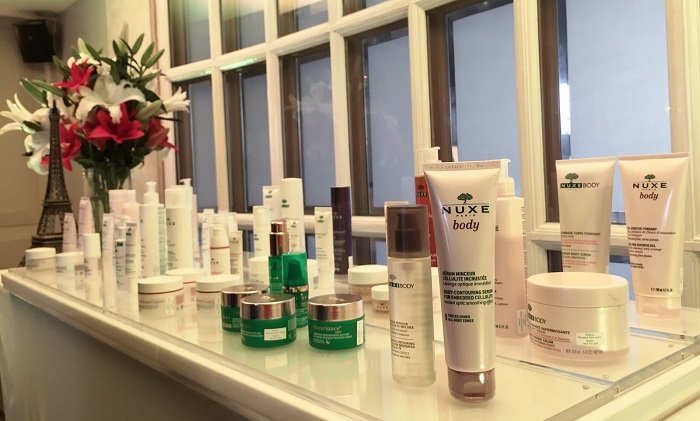 You too can discover the potent power of nature and achieve the radiance and suppleness of youthful skin through Paris’ best – NUXE at Beauty Bar, Rustan’s Makati and Rustan’s Shangri-La.